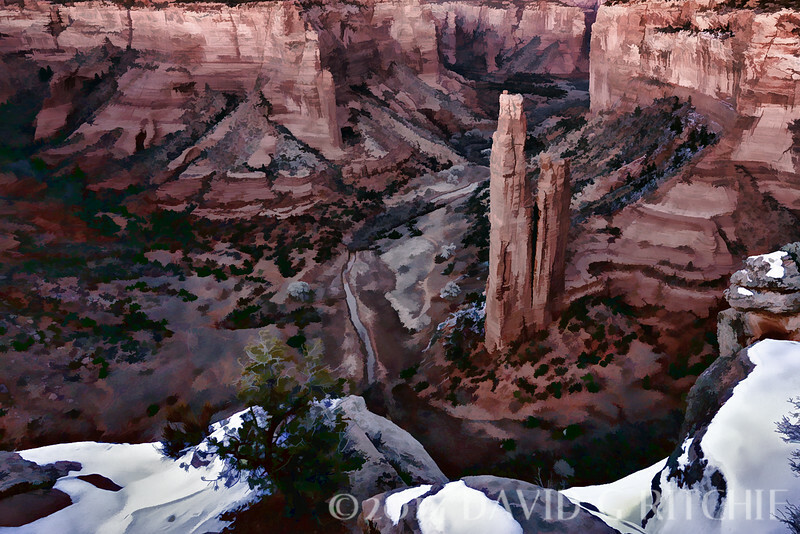 Spider Rock, located in Canyon de Chelly, AZ, rises some 800 feet above the canyon floor. Many Anasazi cliff dwellings are located within the walls of this canyon. This photograph was modified to create a more painted-artistic, rather than photo-artistic feel and look.